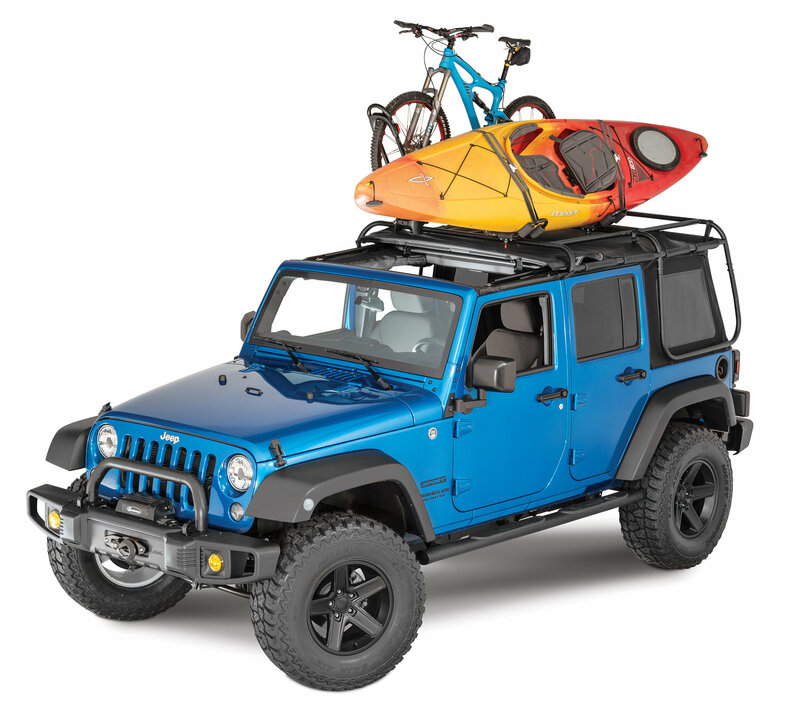 The Exo-Top is an innovative new design that for the first time ever combines the joy of top-down driving with the utility of a roof rack, taking convenience, function, and style to new levels by allowing Jeep owners the ability of conveniently lowering, raising or removing the soft top with ease without having to unload gear from the roof-rack cargo. 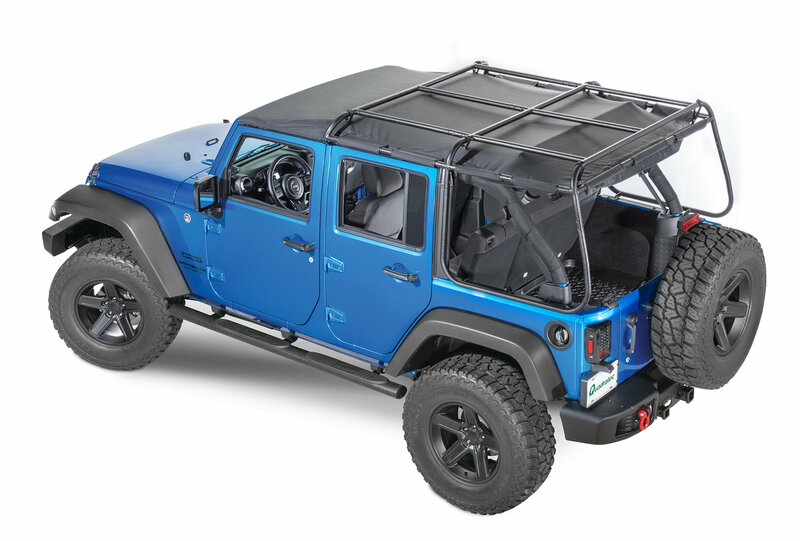 By combining the soft top and roof rack, owners can experience a Jeep to its full potential for camping, off-roading, or any lifestyle hobby they may have. This new top also features an innovative Sun Slider retractable function which allows the top to slide back with the release of just two latches, creating an open-top experience for owners without the hassle of getting out of the driver seat. Integrated into the 350-lb. 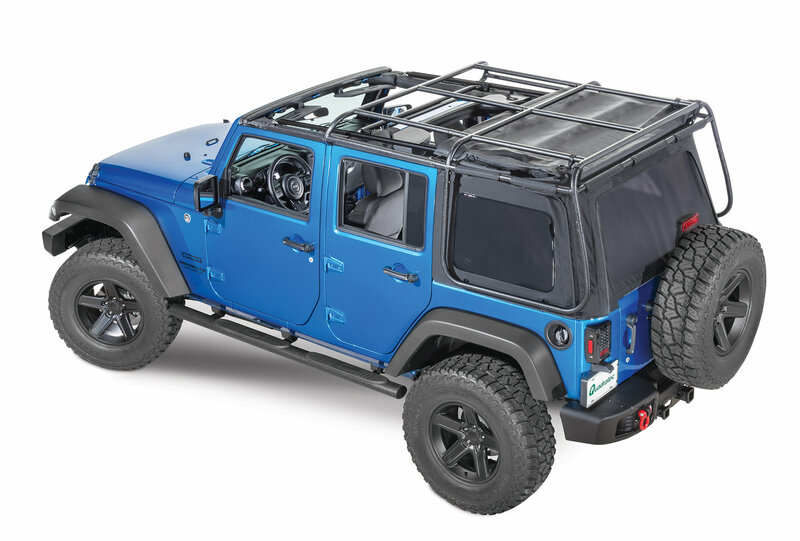 capacity roof rack is an advanced externally suspended soft-top design that fastens using a series of Velcro straps along the perimeter bars of the roof rack. 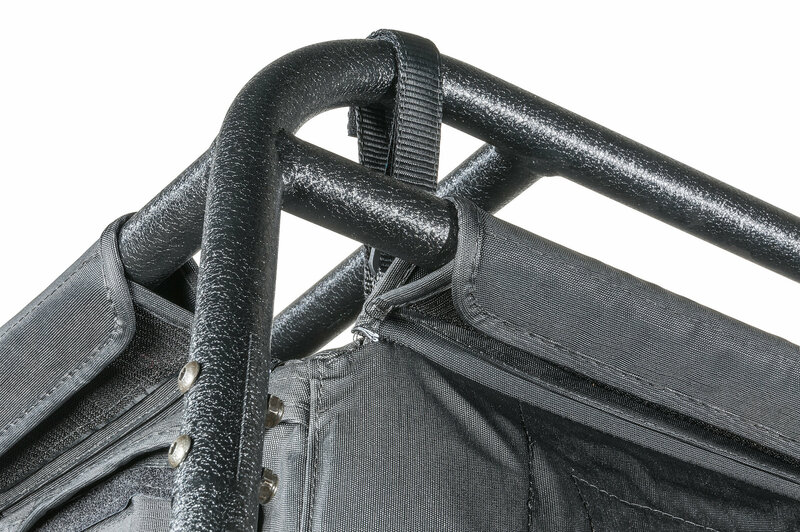 The pulling force applied by the Velcro helps to tighten and shape the soft top. 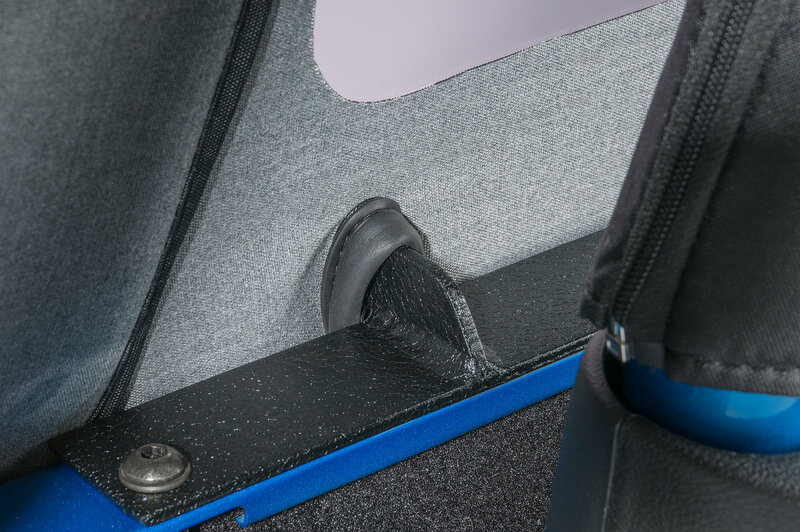 Offered for both the two and four-door configurations, the Exo-Top features a patent-pending design that is a direct bolt-on application with no drilling required for installation. I'm giving it two stars because after we where finished the top looks great. But considering it to three guys almost two 8 hours to complete the putting the top together . One of the guys has built race cars from scratch and the other guy handles large farm equipment this was some task. The concept is fantastic but you need to work on quality assurance pipes and holes didn't match up. Sometimes it took good old brute strength to go to the next step. Oh the numbers on the directions didn't match up. finally we had to stop the project for a missing screw that didn't make here. we bought a replacement from a local ACE hardware store. Without a doubt the best top for the money. The only thing I see that could use a upgrade is putting a adjustment bolt and larger spring on the cable for the top. But it's something you can make a your local hardware store. Fit and look is clean. The sliding system on the top is amazing and easy for one person to use on their own. 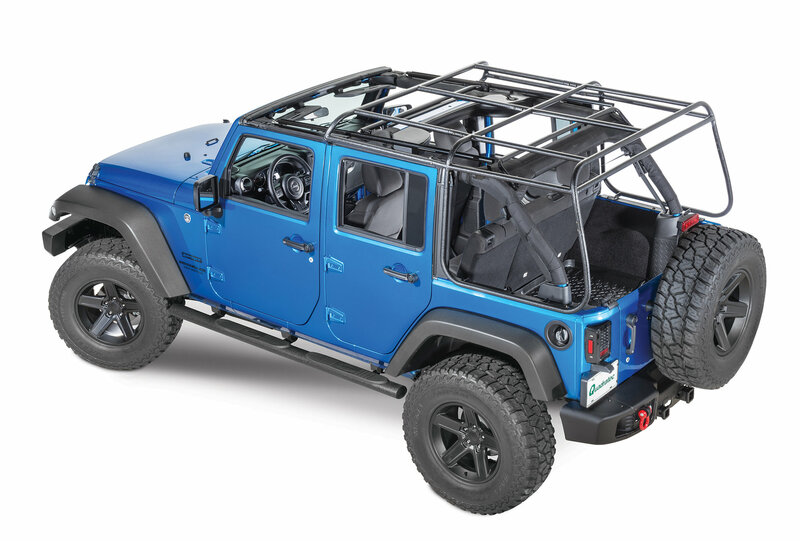 How much height does this rack add to the top? 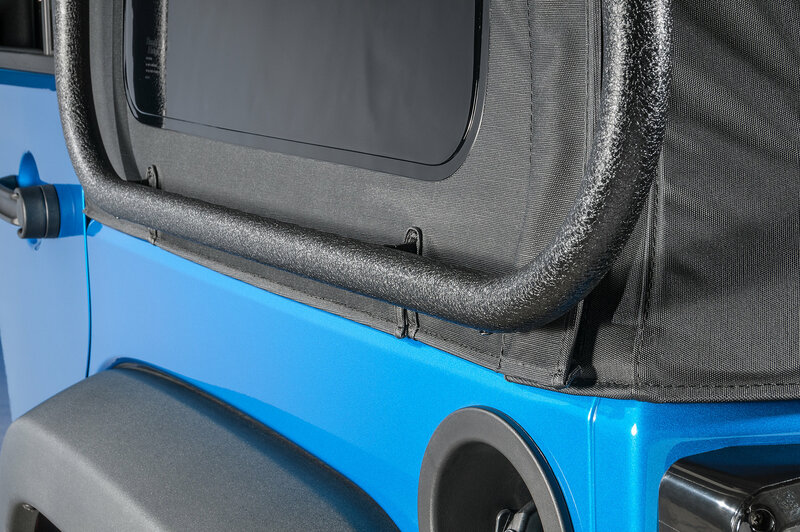 Hello, the rack measures 29-5/8" from the top of the tailgate to the top of the rear bar. Thank you for your question.